Escape to our gorgeous, mountainous northwest Phoenix setting and enjoy spectacular sunrises and sunsets from our convenient location. Near Mayo Clinic, area attractions, restaurants and sporting events. Welcome Home! Stayed here for 2 months. Good size sites. No cable, 19 OTA channels. Good location for seeing the Phoenix area. Nice heated pool, hot tub and laundry room. Several fenced in doggie areas. Very nice employees. I would stay here again. What a cute park! We were in town for the Barrett-Jackson auction and they were more than accommodating with a nice level, large pad for our 35' trailer. 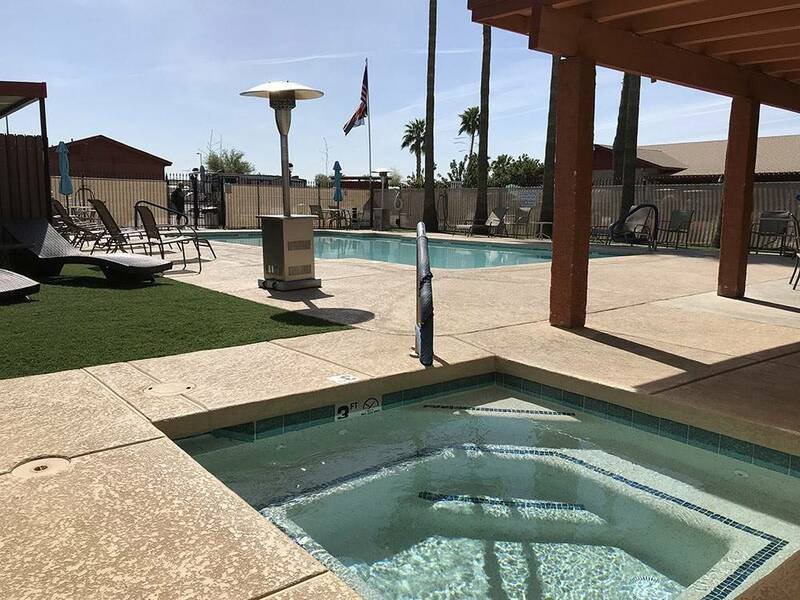 The park is spotless with very well maintained roads, beautiful landscaping, heated pool, clean laundry room, and friendly staff. We did not go into the restrooms so we don't know about them. LOTS of activities were going on from cooking contests, shuffleboard, to BINGO almost every day. Many of the spaces are full-timers, or snow birds, with very well maintained lots and no junk allowed. We will definitely stay again when in the area.